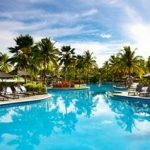 It’s starting to feel like summer with the launch of AccorHotels’ new campaign, ‘From The Heart.’ Now is the best time to start planning your next break – book early, stay longer and save up to 25% off the flexible rate in more than 250 properties across Australia, New Zealand, Fiji and French Polynesia. An Australian summer is like no other, make the most of the warm weather and explore the country’s white sandy beaches, tropical rainforests, rugged mountain ranges, destination dining and summer events calendar. Lie on a beach in Tropical North Queensland, experience the start of the Rolex Sydney Hobart Yacht Race 2018, catch a tennis match at the Australian Open in Melbourne, explore South Australia’s famous wine regions, or admire Perth’s picture perfect sunsets –choose your own adventure right across the country this summer. Enjoy the nightlife and great dining around Sofitel Gold Coast Broadbeach from $772* for four nights, usually $936* or chill out at Pullman Port Douglas Sea Temple Resort & Spa from $892* for four nights, usually $1076*. Stay in the heart of Melbourne’s CBD at the newly built dual-branded Novotel & ibis Melbourne Central or head down to the Mornington Peninsula and stay at Mercure Portsea from $648*, usually $720* for a four night stay. Whether its cocktails by the pool or scuba diving pristine reefs, whichever adventure you choose, there is sure to be something for the whole family to enjoy in Fiji. 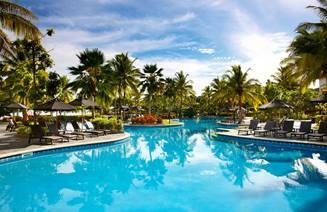 Sofitel Fiji Resort & Spa is the perfect place to relax and unwind, stay four nights from $1486, usually $1857. Enjoy summer in New Zealand and marvel at the vast charm that this country has to offer. With its breath-taking scenery and world renown local produce, this country has it all and AccorHotels’ range of hotel options are just what you need to get the most out of this magnificent country. Stay at the newly opened luxury SO/Auckland, the first SO/ branded lifestyle hotel in the Pacific, from $1965 for a four night stay, or Grand Mercure Auckland for $784, usually $980. Summer is the perfect time to visit French Polynesia and explore the spectacular islands of Tahiti, Moorea and Bora Bora. Discover what makes this region so inspiring and alluring to guests and revel in the warm air, romantic sunsets and clear blue water while staying in idyllic overwater bungalows. Experience the magic of French Polynesia at Sofitel Moorea la Ora Beach Resort for US$2540, usually US$2980. Join AccorHotels’ award-winning free loyalty program – Le Club AccorHotels – and enjoy exclusive offers. To join, visit accorhotels.com/leclub and start earning points towards future hotel stays, and other great rewards including advance access to future sales. *Terms and conditions apply. Prices provided are for sample stays in January (excluding public holiday dates), based on a four night stay. The earlier you book, the longer you stay saving is discounted off the flexible rate.